Create and capture Windows 10 reference image is important because that image serves as the foundation for the devices in your organization. In this topic, you will learn how to capture Windows 10 reference image using WDS. This image is the core operating system you need on your network environment. The image require all needed software for your Windows 10 clients to be installed. So before capturing Windows 10 image, make sure you update Apps and Windows with latest updates. Capture a Windows 10 image with Windows Deployment Services is easy if you would be familiar with Windows Deployment. Before applying this article, you need to have installed WDS on Windows Server. If you lab is ready for deploying Windows follow the article, otherwise read and apply the below articles to create your Deployment Server first. How to Install and Configure WDS In Windows Server 2012 R2? So let’s begin to capture Windows 10 reference image. 1. Press Windows+R to open run and type Sysprep and run Sysprep. On the Sysprep tool select Enter System Out-of-Box Experience (OOBE) and select Generalize the click OK.
2. Once the Sysprep has complete, system will restart and boot it from Network. You must configure you system to boot from network. Just press F12 to go to Pexe. 3. Now select Capture Image to capture Windows 10 reference image or PC. 4. On the Welcome to Windows Deployment Services Image Capture Wizard page click Next. 5. Now select the directory where you want to capture, type image name and image description then click Next. 6. 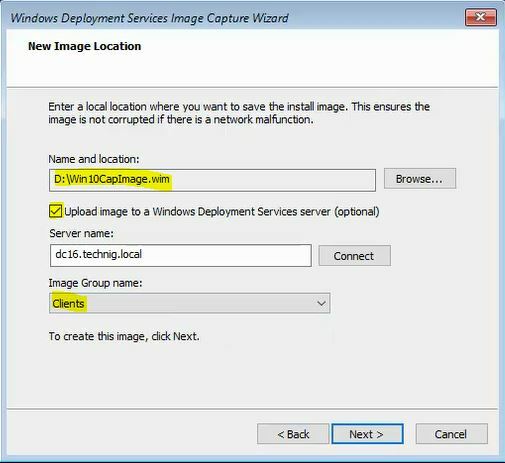 Select Name and Location or tick the check box of Upload image to a Windows Deployment Services server. When done click Connect and type user credential. Select Image Group name also then click Next. 7. This will take a long time to complete the process of capturing Windows reference PC. 8. When it has complete click Finish and restart your Windows 10 reference PC. Configure and select the reference PC language, time, user and password, because it has been completely out of box by executing Sysprep. 9. Go to Windows Deployment server and check the result of Windows 10 capturing. The Windows 10 captured image should be transferred successfully to WDS server. OK, that’s all about to capture Windows 10 reference image with WDS and Windows Server 2016 or Server 2012 R2. If you have any question let us know and how can we help you to solve your OS and App deployment problems in your production environment. I'm a network and Information Security instructor. Here is my online pictorial notebook. I would like to write and share my experience through this website for computer enthusiasts and technology geeks. You have not mentioned what to add on wds before running sysprep on reference pc. I had one image in boot image and add another by the name of Capture image, but when booting the reference pc it didn’t work, kindly tell me the solution. Create the capture image from boot image. Then add the created capture to boot image area. The article is pretty clear, read it carefully. Thanks for your guides, they’re brilliant. years. Thanks and better of luck. I’m still not getting any joy. Am I missing something? I have sysprepped the C: drive however when I attempt to capture the image I am unable to select the drive in the capture image wizard (Which is at 1:35 on the above video). Any suggestions? 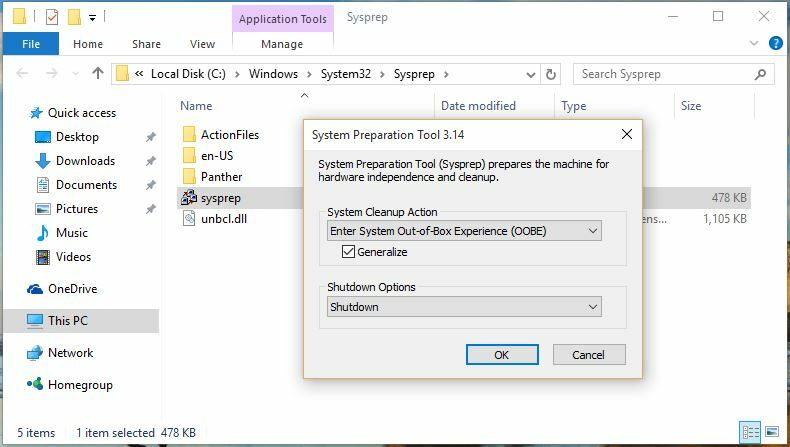 When the sysprep run correctly you can select the drive letter, otherwise it will not work. I have ran the sysprep several times but no luck. Let me know if you have any other suggestions, I’ll keep looking into it as well. Your captured image may not work perfectly. Try to capture the image without any errors. this is one of simple way to create Windows 10 image thank you for your effort. I had already a WDS server running with me, am not getting an option like point number 3, what will be the issue. i can only see my exisitng images of windows 7 and 8. 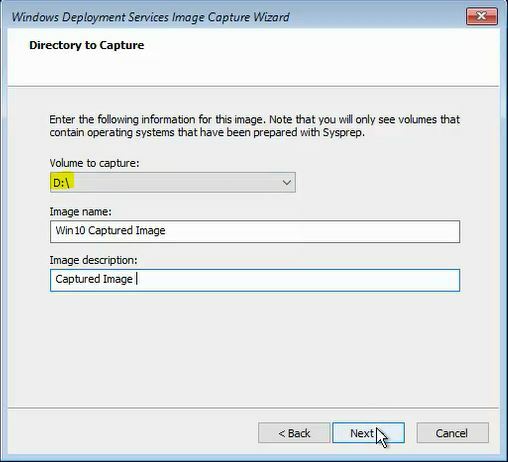 Create a capture image from boot image on WDS then add it to boot image section. On WDS just right click the Boot image and create a capture image. When capture image created successfully, add it to WDS and now you must have option like pint 3 of this article. First of all thanks for such a crystal clear manual…May God Bless you for doing such a noble work. I just wanted to know the steps that once we have captured a machine image with all the programs, how to deploy new machine with that captured Image with the WDS server. 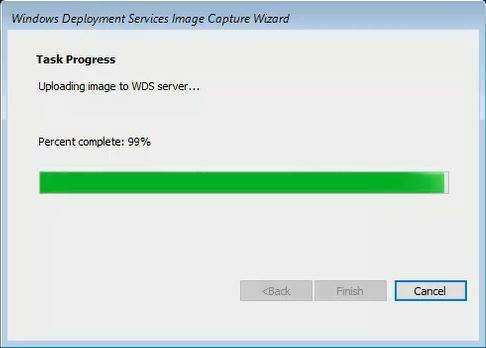 Try to add the captured image to WDS server as install image. Then deploy it on your computers on the network. Try to run sysprep on reference PC before capturing image. yes sysprep its ok but its dosen’t work again. what will be done if not connected when asking for upload image. Check the server connection and credentials. Create a capture image and add it to WDS then you see the capture image when you boot the system. And it’s better to test another Windows images as well. Great Article! I was trying to find out if there was a way after the WDS capture completes to automatically have the computer shutdown rather than restart?